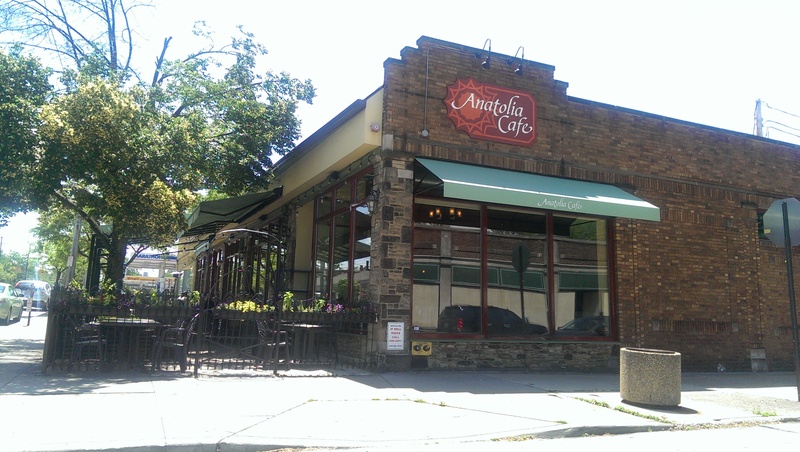 I used to come to Anatolia Cafe for dinner even before I moved to Cleveland Heights. The food is fresh and can’t be beat. I have arranged some Meetups here in the past, and the staff is always accommodating with a large group. Now that I live in the neighborhood I just pop over here on a whim. The patio is great in the spring, summer, and fall. I tend to order the apple tea when I am here. It isn’t as “appley” as the Turkish apple tea I am used to from Europe, but it is still quite refreshing. Their cocktails are also quite nice and very affordable during Happy Hour (Monday-Friday from 5-7 PM). The happy hour features half off select “small bites,” select $2.50-5.00 beers, $4 house wines, $5 select mixed drinks. Happy hour pricing is only good in the bar. I had the Sour Cherry Delight cocktail the last time I was here, and it was really good. It features tequila, sour cherry juice, and lime juice. 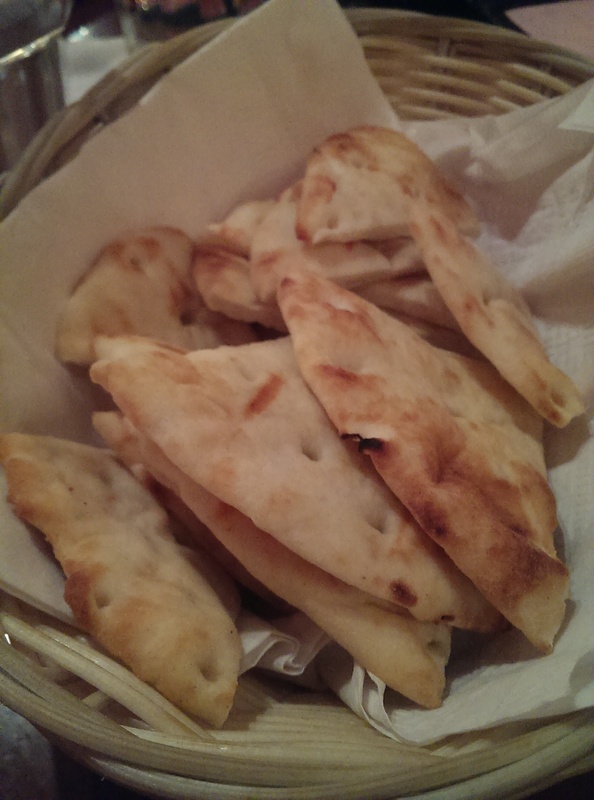 The wait staff greets every table with fresh, warm pita bread. 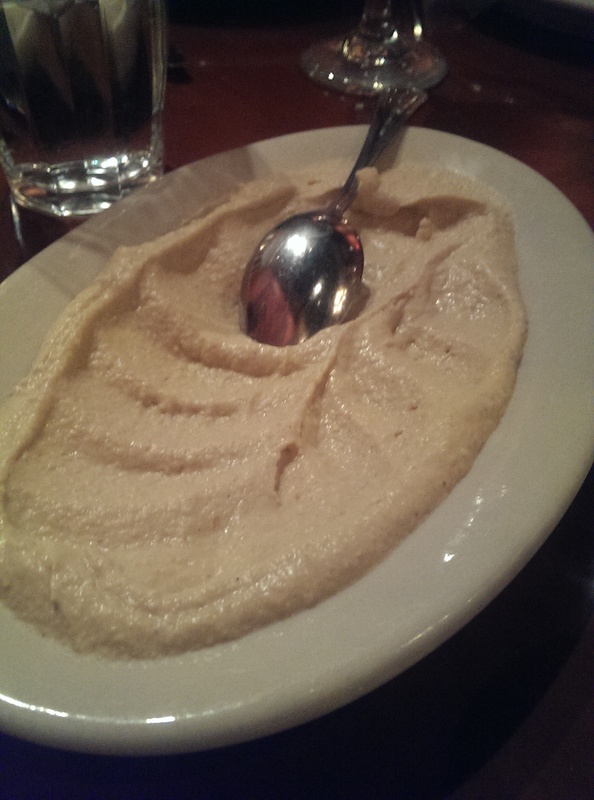 It is delicious and pairs really well with several appetizers, such as the hummus, baba ganoush, lebni, and tabouli. I love the hummus here. It is really smooth and creamy. 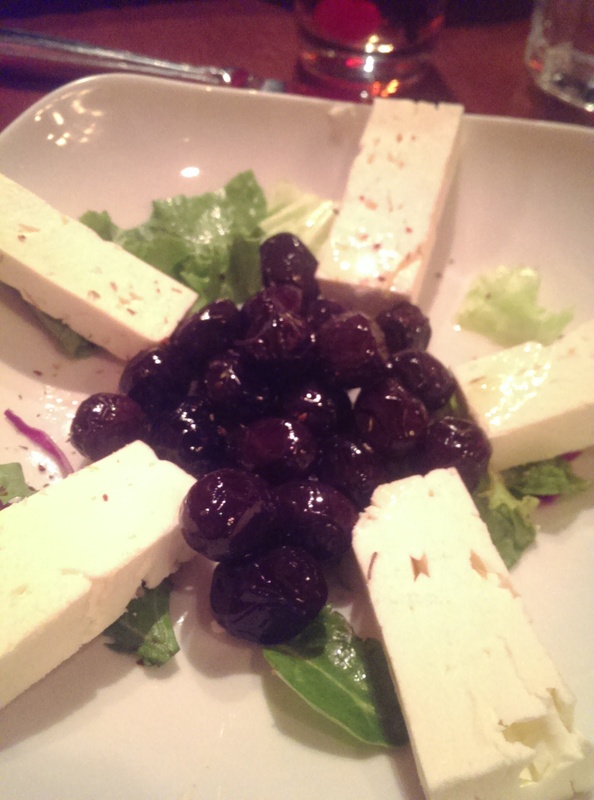 The Turkish feta cheese with olives is especially tantalizing and beautifully arranged. The red lentil soup is quite nice as well. If you can’t decide and are with several people, the appetizer platter offers a wide selection of choices and comes in two sizes. I love several entrees here, but my heart belongs to the Chicken and Lamb Adanas. The meat is ground and mixed with red bell peppers, lightly seasoned with paprika, skewered and grilled as kebabs. You can also order the kebabs with yogurt. They are then served over oregano-seasoned pita croutons sautéed in garlic butter, topped with a light tomato-butter sauce and a healthy dollop of fresh yogurt. This is comfort food at its best. The döner is also quite good. It is a marinated mixture of lamb (95%) & beef (05%), cooked on a rotating spit, then thinly sliced. It is known as Döner in Turkey (and Germany – served on a thick pita as a sandwich), Shavarma in the Middle East, and Gyro in Greece. It is served here with rice. 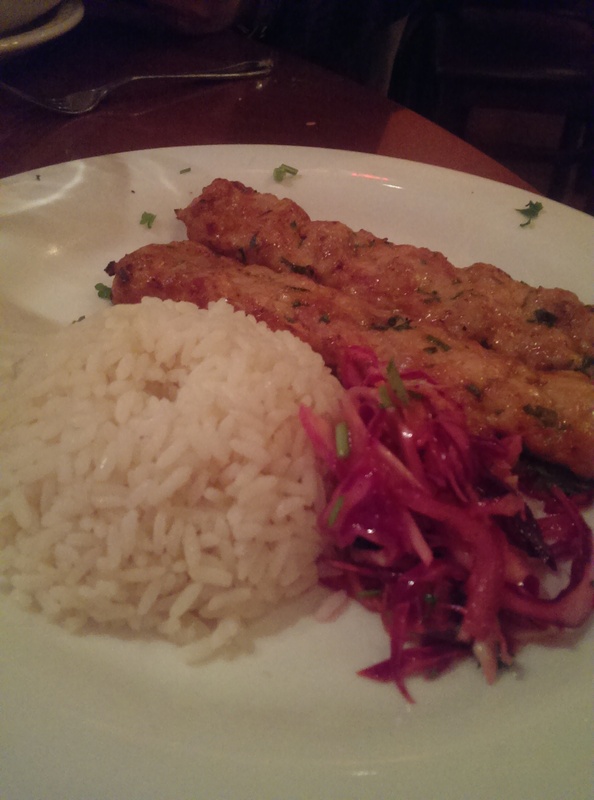 The shish kebabs always make me feel like I am eating healthy – just meat and rice. The meat is always well-seasoned, and I’ve never had it overcooked. This place is very gluten-friendly. If you can’t decide on an entree you can never go wrong ordering a combination platter. 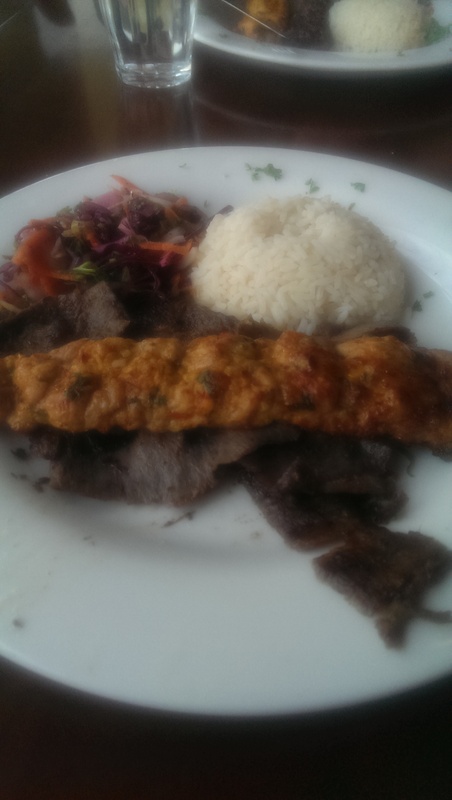 You choose two or more entrees (döner, lamb adana, chicken kebab, chicken adana, lamb shish kebab or filet mignon shish kebab), and it comes with white rice and red cabbage. The Mixed Grill features four of Anatolia’s most popular char-grilled meats (döner, filet mignon shish kebab, lamb adana, and chicken shish kebab) for $25. I was in the mood for eggplant last time and ordered the Stuffed Eggplant. 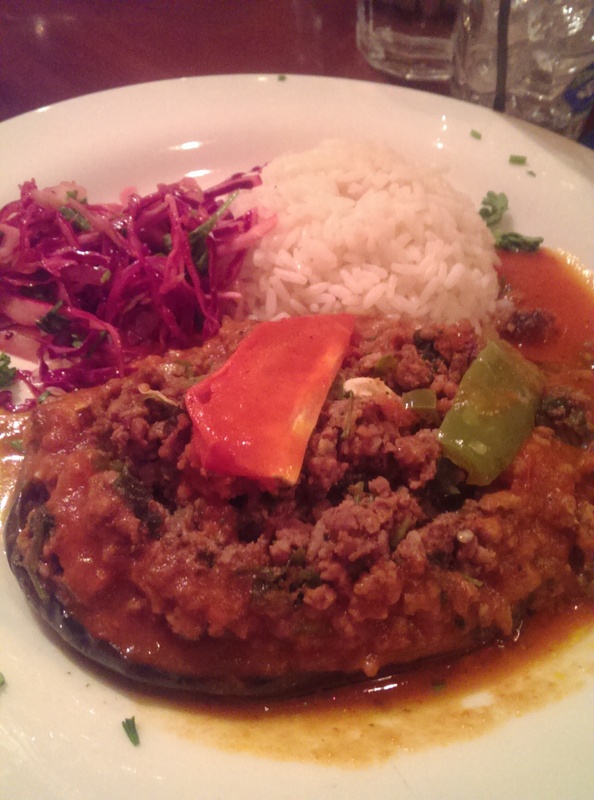 It features oven-roasted eggplant stuffed with ground lamb, chopped tomatoes, herbs and garlic. It was really delicious. It paired really well with the white rice and red cabbage. Be sure to save room for dessert here. All of their desserts are delicious. 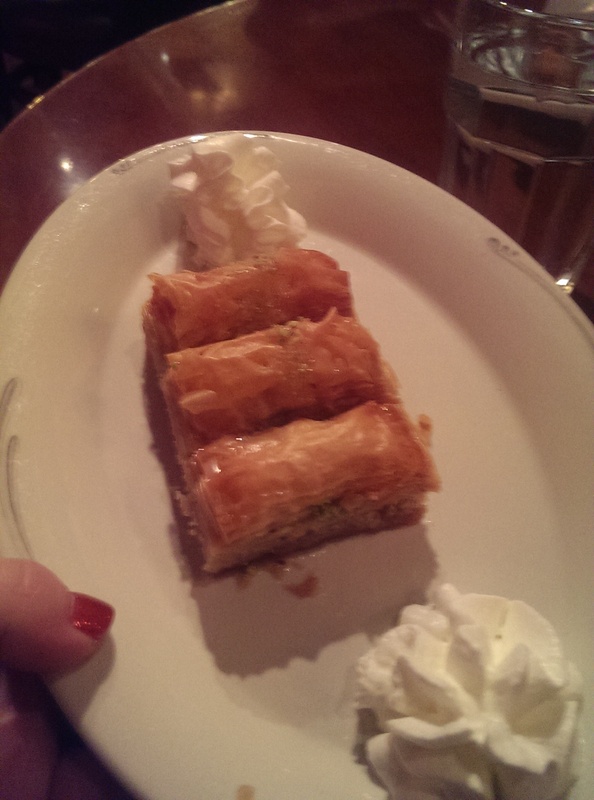 If you want crispy, order the Baklava, Kunefe, or Kadayif. They are all made with phyllo dough. The Kadayif is shredded, mixed with walnuts, drizzled with honey syrup, and garnished with pistachios. The Kunefe is also shredded, but it is mixed with sweet white cheese and butter-honey syrup. It depends on what you are in the mood for. I am partial to the Kadayif myself. If you want soft, the Kazandibi is unique and delicious. It is not a soft. liquidy pudding as we are used to when we think of a milk pudding. 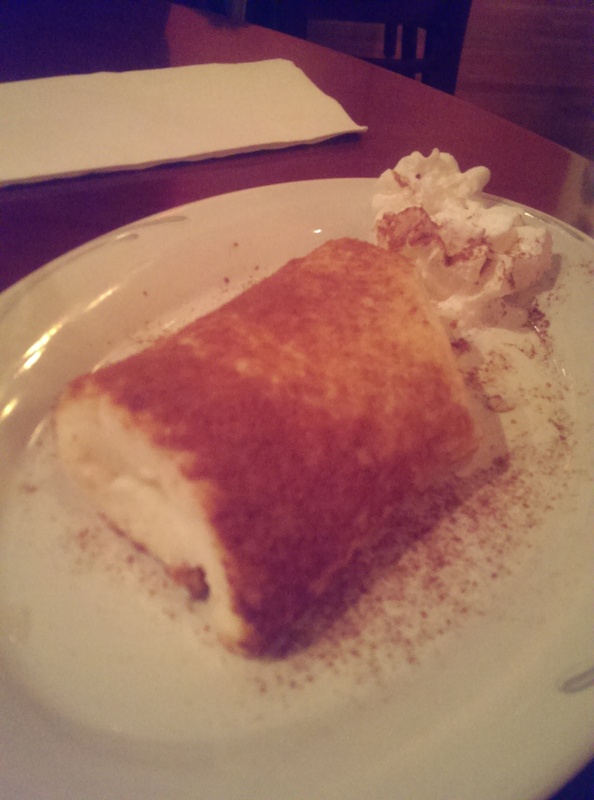 Instead, it is slightly caramelized, rolled upside-down, and topped with a sprinkle of cinnamon. The Fırında Sütlaç is a rice-based dessert that features cinnamon as well. I’ve never been. Thanks for sharing!